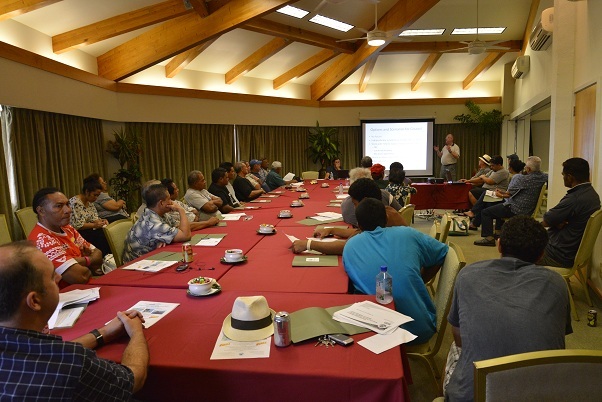 The Council convenes three regular meetings per year, usually in March, June and October, with two meetings held in the Hawaii Archipelago and one meeting held in either the American Samoa or Mariana Archipelago. The Council usually meets over four days. The Science and Statistical Committee (SSC) typically meets the week prior to the Council following a similar agenda. All meetings are open to the public, except for an occasional, closed session to discuss internal personnel and policy issues. Agendas are posted on the Upcoming Council and Advisory Panel Meetings page prior to the meeting. Minutes are taken for each Council meeting and are available to the public under the archived council meeting minutes page. Meeting archives are kept on our website for two years, and can be found under Meeting Archives. Additionally, the Council Coordination Committee (CCC) holds two meetings or conferences per year. 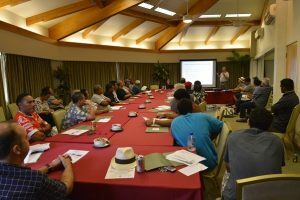 NOAA Fisheries Service hosts one meeting in December or January, and the second meeting, hosted by one of the Councils, is held in May or June. The CCC consists of the Chairs, Vice Chairs, and Executive Directors of each of the eight Councils. This committee will discuss issues relevant to all Councils, including issues related to the implementation of the MSRA. Recent CCC meeting minutes, as well as information and links to the other regional Councils can be found on the NMFS website.